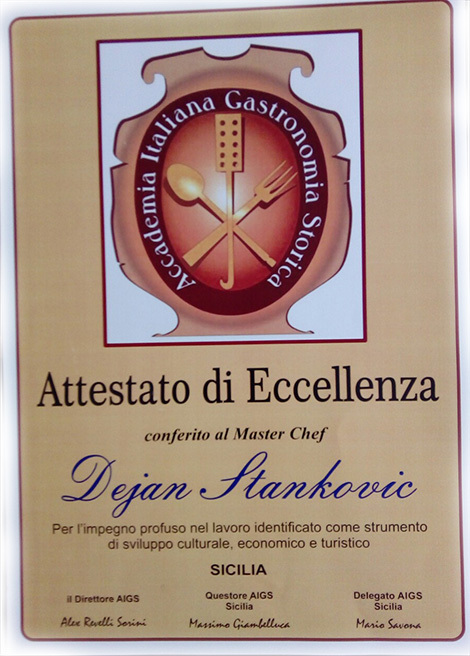 Excellent cookery experience the chef has earned in the prestige restaurants such as Zvezdara Theatre”. He also was the chef on the ship ”Blue line” in Split, in the restaurant “Green Bar” of the club Underground. He also earned his experience in famous restaurants of the capital such as “Dorian Gray”, “Ada” and “Panta Rei”. He also created menu and sat up kitchens in several restaurants and hotels in the country and abroad such as “Azzaro Red Club”, “Poco Loco” in Pančevo, restaurant “Med”, cafe restaurant “House” in Belgrade, restaurant “Picasso” in Budva, cafe-restaurant “Arabica” in Krusevac , Best Western Hotel “Rogge” in the town Resita in Romania. He published several times his works in professional magazines and participated in the tw shows that promote of the culinary. 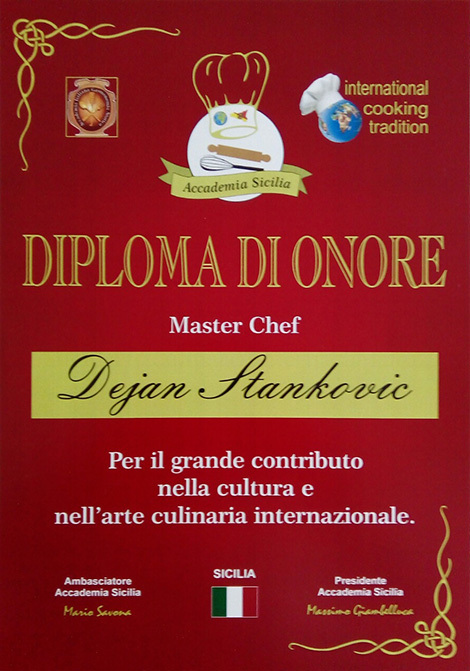 His creativity and constant searching for the new recipes are recognized in many awards for culinary and his favorite among them are The Silver Medal Gastro 1991, silver medal Days of Croatia culinary in Varazdinske Toplice in 2012 as well as bronze medal at Belgrade Gastro Fest in 2014. 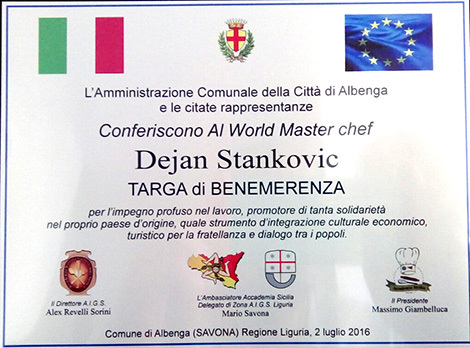 The chef owns the license of the judge of the World Culinary Federation, the title of the Knight of gastronomy of town Trogir, certificate for the sommelier and letters of thanks of British Embassy for the cooperation and the promotion of the British heritage. He has participated in several charity actions for children and in charity action “Life for life” to help people suffer ALS disease. 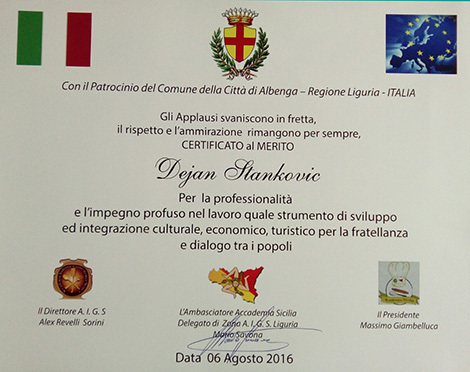 He is the member of the Culinary Federation of Serbia, of the Croatian Culinary Federation, of the Association of the cooks of County of Istrian and the Member of Honor of the county of Bjelovar- Bilogorski. Among the colleagues well known as the initiator of competitive, culinary as well as those so called “for the soul” gatherings.